Khan Academy is a non-profit online education organization that provides online video tutorials, interactive exercise on tons of topics and subjects for free. 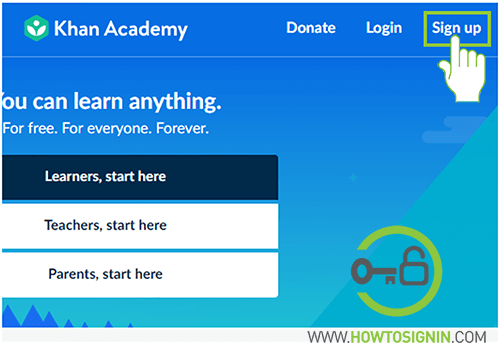 Khan Academy is a US-based education organization started by Salman Khan with the goal of providing free education to the students at every corner of the globe. 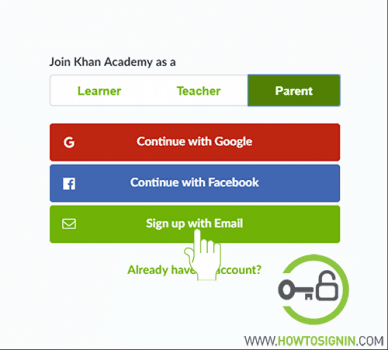 Separate Khan Academy login is available for learners, teachers, and parents. Khan Academy is available on most of the platform from PCs to Mobile device. 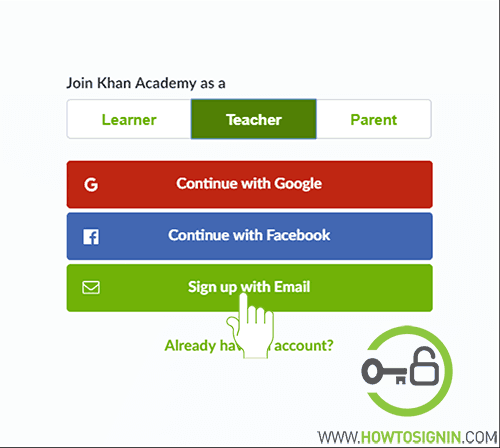 You can access khan academy signing in from the web version of khan academy or its mobile app available on both Android and iOS mobile. Visit khanacademy.org from any web-browser. Click on the Login option from the menu at top right corner. 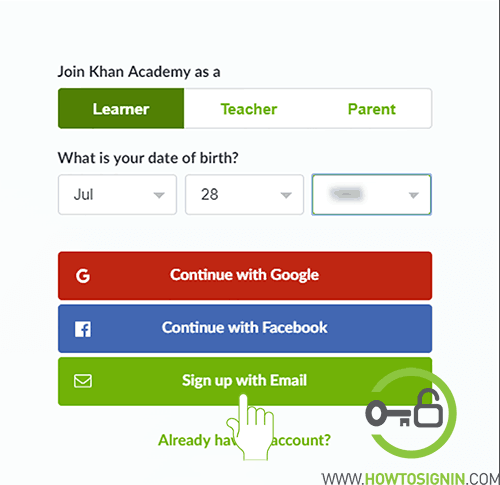 There are various ways to sign in to the Khan Academy. You can sign in with Google/Facebook account or email account. Enter the email id you’ve used during Khan Academy signup, type your account password and hit Log in to access your khan academy account. If you have created your account using your social account click on the respective button to log in to your account. You can also access your Khan Academy from your mobile devices, using the mobile app available for both iOS and Android phones. You can download the app to your devices from the respective app store. It is very beneficial for the user who is willing to learn on the go. Download and Install Khan Academy app from the respective store of the mobile you are using. Open the app and choose the option Profile from the menu. 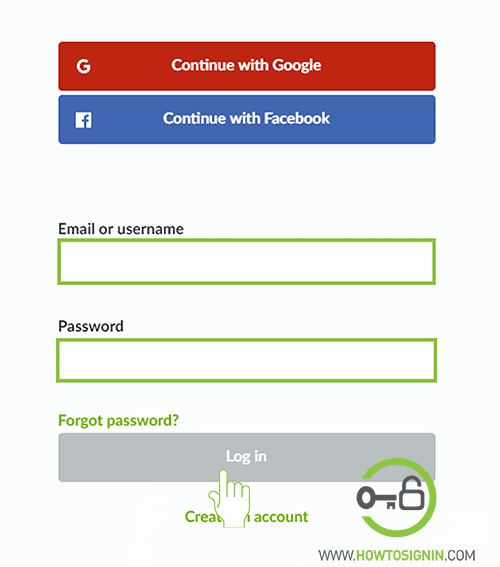 You can sign in with Google, Facebook or email address. If you choose social media, you need to provide access to them. To login with email, you’ve to enter your username or email and password for the respective email. Hit ‘Sign in’ and you are ready to use Khan Academy. Don’t have an account yet? You can create a new account for free either you are a student, teacher or a parent. You can choose what to learn, receive interactive video tutorials and exercise on the course you decide to enroll. It’s free for everyone, forever. Visit khanacademy.org from any web-browser. In the homepage, Click on Sign up on the top right corner. Select the option learner if you are using the site to learn anything. Enter your date of birth from the drop-down menu. Another menu will appear. You’ll have the option to sign up with Google, Facebook or Email. Choose your preferred option. To sign up with Google, select Continue with Google. A new window will appear, where you need to sign in with your Gmail account. To register with Facebook, click on Continue with Facebook. You’ll reach the FB login page, sign in with your FB account and provide necessary permissions. Hit Sign up with Email option if you don’t want to create a new account with a social profile. Provide your email address and full name. 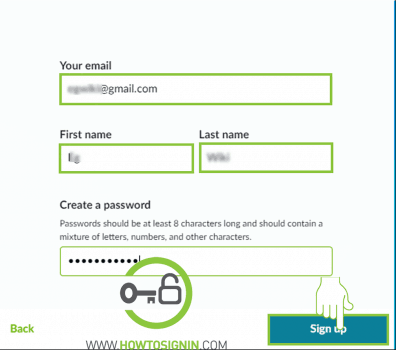 Create a password for the account and hit sign up. You’ll reach personalization page, select your grade from the menu. Select one or more course you want to learn from Khan Academy. Now your Khan Academy registration process is complete. Enjoy learning. Best wishes for your future. If you are an expert on any topics and want to share your knowledge with others, then create a new account as a teacher. Share your courses and track your students’ progress. Personalize your experience similar to a virtual classroom where you share your study materials to every student using the internet instantly unlike traditional physical class. Sign up process is same as student. Parents can control and choose what your kids should learn on the portal and keep track of your kids activity on the site. You can determine the course suited for your kids and make them learn. Khan Academy registration process for parents is similar to learner and teacher.